Crushing on beautiful ceramic crockery at every cafe you visit? Try your hand at making some at Claysutra in Secunderabad. This studio conducts workshops for pottery and ceramics. 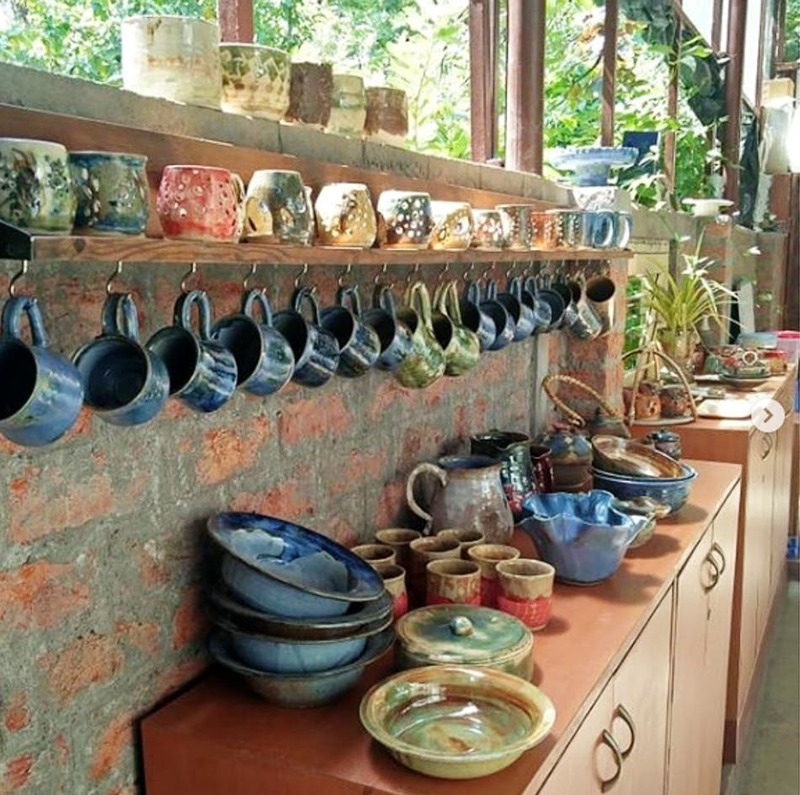 Tucked in the calm bylanes of Secunderabad is — Claysutra — a rustic studio founded by Carmel (who is also the instructor). She took her passion for pottery and ceramics and converted it into a studio where she hosts learning sessions if you're interested in picking the skill. The techniques taught here range from beginner to advanced, based on the learner's skill. Don't want to sign up for a series of classes? No problem, take a half-day workshop to destress like a boss. We were taught simple techniques like wedging, embossing and the wheel, and in less than half an hour, we were chirpy. Plus, the entire experience involves cold beverages, Jazz music, and you're given a designated station to work at, based on your choice of working in solitude or groups. You're then left to explore your inner Michelangelo as the instructor guides you from time to time. Gather your friends and go for workshops that start at INR 2,000. And the best part? You get to leave with a souvenir that's fired and glazed, in-house! Claysutra also features its products at various exhibitions in Hyderabad, and the workshops depend on the instructor's availability. To book a class, you've got to check their schedule in advance.